We used to think that the multi-layered tulleA skirt-skirt is an indispensable attribute of dancers and dancers. But just such a wardrobe item will not bypass any fashionista who wants to stand out from the crowd and be remembered for her extravagant appearance. Why is that? It's simple: the tulle skirts do not just radically change the look of a woman, making it as romantic and tender as possible, but also easy to make by themselves, which guarantees their exclusivity and unusualness. A lavish dress with a tulle skirt gives a real opportunity to return to the time of her happy childhood, imagine herself a princess or a ballerina. Where can you wear such clothes? Lord, yes, anywhere, because it totally depends on your courage and desire to attract attention. Disco, evening walk, date and even daily life. The process of hand-making the skirt is simpleUp to indecency, but before proceeding to it, it is necessary to understand existing models and determine the future length. 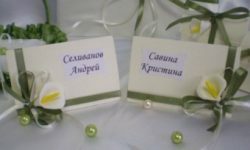 All possible variations are available on the Internet, it is important to simply understand the purpose of the dress, and whether it should attract maximum attention with its color and style. Understand that the tulle skirt is a bright component of the whole image, and sometimes it does not need to be complicated by additional elements in the form of a plume or a petticoat. Then it is necessary to determine the color of the consumableMaterial. Here again you should be guided by where you will wear such clothes, with what, and how often. Coloring can be very different, from tender and classical, to extravagant and provocative. Today in a fashion a multilayered pack, in which the podnik is cardinally different in color from the base. The length of the skirt is a separate conversation. 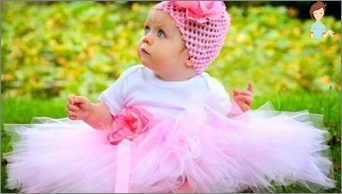 It is clear that in everyday life you are unlikely to flaunt in clothes that the ballerina will envy. Therefore, it is better to make a pack of decent length, to provide a train, or even do it at all to the length of the floor. The last option is considered the most successful, because it looks more original and unusual. The tulle skirt, made by own hands - It's trendy, trendy, stylish and expensive, and yetIts creation is spent no more than an hour! To obtain a product of medium length, it will take 50 rectangular pieces of tulle or chiffon, about 20 * 50 in size, an elastic waist and sharp scissors. If you add more bands of material, the product will get even more magnificent. 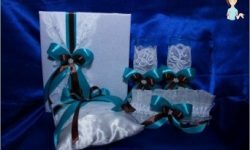 It can be decorated with satin bows, rhinestones, flowers and other accessories. A taffeta skirt with a petticoat or with a train has one difficulty, consisting in the need to select the appropriate top, which will determine the success and organicity of the whole appearance. Here, stylists advise to dwell onMonochrome and unpretentious corsets, bodikas, t-shirts, chiffon blouses and knit shirts. It is important, only that the top should be calm, and leave the pack with the most screaming detail of the image. Fatian skirt, be it even an adult, thoughChildren's, and associated with their own hands, requires appropriate accessories. So, for example, it should be worn or even without pantyhose, or with such, but having a dense texture or a colorful pattern. As an ideal footwear there are brightBallet shoes, but what to do with jewelry - it's up to you. For a romantic person, gentle and laconic products from a single headset will work, and an eccentric girl should not be limited to flying her imagination. A children's model of such clothes is created by the samePrinciple, as an adult. As the fashion experts themselves say, the tulle skirts are an ideal element of a youthful and teenage wardrobe, but especially gently and touchingly they look on toddlers. For very young children, they make their own clothes for photosessions or celebrating the New Year, with the decoration in the form of a chiffon plume of the most unpredictable and vivid shades. 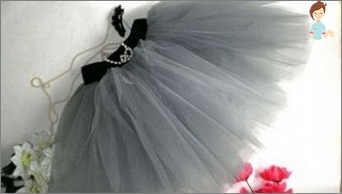 Adolescent girls just loveCreate individual images, and therefore they are interested in the question of how to starch the tulle skirt even more so that it is even more magnificent and does not change its shape under any circumstances. In adolescence, it is customary to combine such clothes with heavy jackets made of genuine leather, high sneakers or jockey boots. If you do not have time to create such a pack,Or you are not sure that you will cope with the task, refer to the self-taught masters. They should get a unique version of the skirt, which will cost relatively cheap, and definitely have to please you or your daughter. 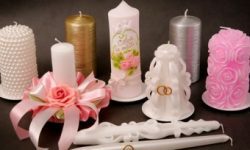 If desired, the product can be highly starched or softly hanging down to the floor, decorated with embroidery or supplied with a bow. In any case, with such an element of the wardrobe you will have the opportunity to be most irresistible, bright and noticeable!